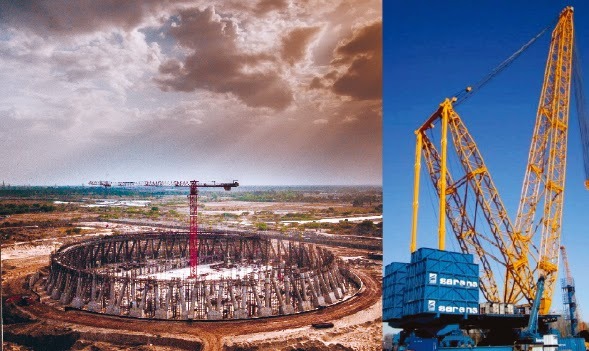 Construction Opportunities, the construction equipment magazine if of the opinion that India is currently among the most dynamically growing construction equipment markets in the world. The current annual growth rate is 30 per cent and from 2014 to 2020 the Indian equipment market is estimated to grow six times to a size of $20-25 billion. Owing to the decline of the Indian Rupee, a large number of road projects face slowdown. RAMESH PALAGIRI, MANAGING DIRECTOR AND CEO, WIRTGEN INDIA spoke to CONSTRUCTION OPPORTUNITIES, the construction equipment magazine on his company’s growth plans and they plant to weather the slowdown in the road equipment sector. Construction Opportunities, the construction equipment magazine finds out Wirtgen India’s plans for 2014 and how they plant to bolster the product portfolio: At Wirtgen India, we are looking towards strengthening our market position by increasing our sales and service network and also offering new products to the market. We are also introducing innovative technologies to Indian market like cold milling and recycling and have already initiated many steps in this direction the results of which are seen coming. Plans to expand your manufacturing base in India: We will start producing the Kleemann range of crushing and screening plants for Indian market by January 2015. We have also launched tandem rollers for the Indian market, further to our first Indian product – soil compactors and would shortly also start producing Vogele pavers for the local market in India. Construction Opportunities, the construction equipment magazine finds their expectations from the new political dispensation: A lot of projects are stalled and overall the road equipment sector is experiencing a slowdown. Also the depreciation of Indian Rupee by over 20 per cent in the last quarter, has further impacted these projects. The new government formed post elections , would be expected to address the issues in this sector like long term funding for road projects, faster land clearance and also introducing more stringent prequalification criteria for contractors who are bidding for road projects. Growth acceleration can be ensured if the Government proactively pursues a good mix of both BOT and EPC projects. I believe the acquisition of additional land together with enforcement of the new Land Acquisition Bill will contribute to ease the existing situation and would pave the way for faster implementation of projects . Written offers appropriate solution for every application. It has the world's largest range of recycler and soil stabiliser products. The company has launched the WR 240, the new generation of cold recyclers and soil stabilisers in India which stands for top quality on every job.